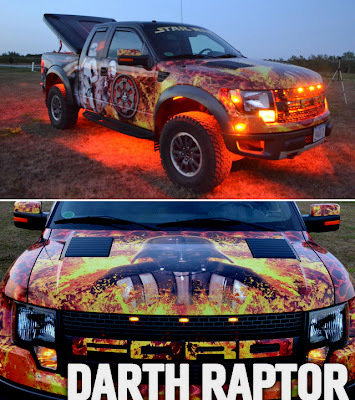 Owner Trey Laymon's Ford Raptor may have a few Jedi's on the bumper, but otherwise this portable shrine is all round pure Sith. 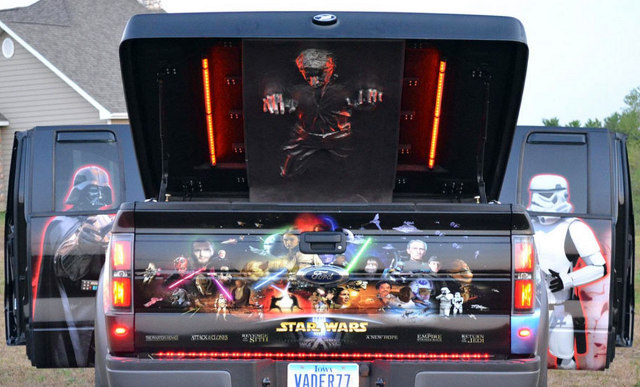 Not only does Darth Vader appear on the left and rise out of flames on the bonnet, Han Solo is frozen in carbonite and rises when you pop the trunk! Even Boba Fett never carried him in such style. To see more photos of the Death Star on wheels, click the jump. As for the other 30% of drivers you'll still have to watch for - Trekkies. It's a fan eat fan world out there folks, just sayin'. Thanks Dale! 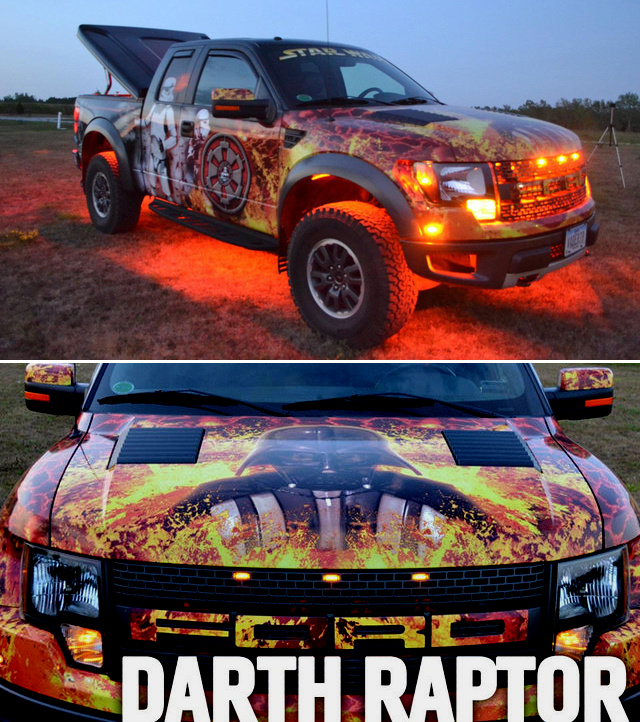 What you don't get to see is that the horn is actually the Chewbacca growl - perfect for those intersection cutter-offer-er's that we all love to hate. Actually it isn't, but that would be cool.